The display window of Lesher Paintings on State Street. 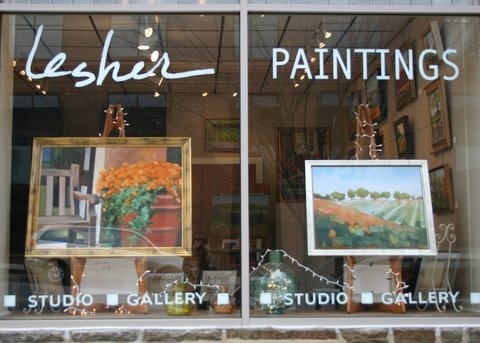 Lesher's will be one of the merchant's participating in the Art Stroll. KENNETT SQUARE — It’s that time again; for Historic Kennett Square’s First Friday Art Stroll that is. Residents and out-of-towners alike are encouraged to take an artistic journey through downtown Kennett Square — with businesses open late for visitors who come into town to meet friends and shop, dine, and just enjoy the ambiance of Kennett’s small town charm. Many of the galleries and boutiques will showcase exhibits from local artists, offering light refreshments and live music to add to the evening’s enjoyment—with a special Irish twist. Additionally, among the many activities happening in Kennett Square during the March Art Stroll, the newly opened Mystique will be celebrating its Grand Opening with an official ribbon cutting ceremony at 6 PM. This men’s and women’s fashion boutique is located at 117 East State Street (the former site of The Kennett Paper, which had to close the office due to the financial distress of its parent company). The Longwood Art Gallery is hosting a reception that will showcase giclee prints by artist Peter Sculthorpe, including his new release “The Opportunist”. La Verona Restaurant will present the Spanish-influenced guitar stylings of Sergio Azocar Della Valle on Friday evening while the Willow on State Gallery will be featuring the eclectic works of Adin Torres, Steve Martin, Kim Z., and Silvie Waals. Furthermore, each First Friday event in Kennett Square starts off with the Kennett Square Farmers Market, held at 101 East State Street from 2 PM until dusk. In addition to fresh and local produce, meats, baked goods, and cheeses, several local craftsmen offer their wares for sale and farther down the road Bove Jewelers will continue its inventory clearance sale and will offer a free gift with purchase. 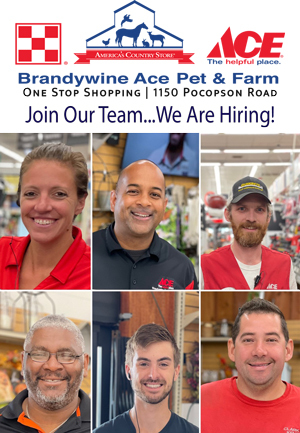 Now more than ever, in today’s unstable economic climate, it is crucial for small towns like Kennett Square to promote commerce to the fullest. “Our ultimate goal is to bring people into town and support out independent merchants; to have dinner in one of the fine restaurants, shop at one of the many boutiques, and support the arts and culture of our community,” Hutchins said. For a complete calendar of events and to receive a monthly e-newsletter visit the Historic Kennett Square website at www.historickennettsquare.com.